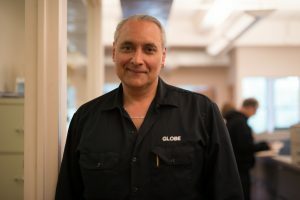 Will Elder rejoined the Globe team in 1999 and has almost 30 years of experience in the moving industry. Will continues to be one of our most valuable assets. His uncanny ability to perform under pressure makes him the ideal point person for our most nuanced moves. Equipped with strong interpersonal skills Will is one of our most efficient managers and has a natural ability to make our clients feel at ease during our largest and most delicate relocations to date. We are ecstatic that Will continues to make relocations seamless and stress free! Poised under pressure, Will is the perfect guy for our most complex moves.